Hadn’t been out for an evening session for a while so thought it was about time to cure that. First attempt was trying to fish at Seaford but the brisk SW made it a bit uncomfortable as it was straight into the face. Couldn’t decide where else to try but finally decided on Tidemills as it’s at least a little sheltered from SW.
Set up at about 9pm with high water predicted at 2am. Decided to fish with only one rod and used lugworm and Peeler Crab on a running ledger in conjunction with one of Fishyrob’s ingenious ‘Dvices’. This an excellent bit of kit that let me punch out a fragile peeler bait into a brisk headwind and without having to rely on bait elastic to keep it intact. There was a heavy surf running with largish breakers in the shallow water at the bottom of the tide. Bite detection was all but impossible. I did have a few knocks but nothing connected. At around 1130pm, the wind just dropped completely and as the water deepened, the large breakers subsided and left just a decent fishable surf. First fish came at midnight, when after a stonking bite, a bass of around 2lb came to the beach. This was followed by another two, slightly smaller in size. The next bite was a cracker, yanking the rod down hard, there was a spirited tussle followed by the sight of a squirming eel being thrown up by the surf. Bloody thing contorted and wrapped up the trace until it was just a ball of snot. Having cut the creature loose, I set up another trace, re-baited and cast again. Another bloody eel followed, which did exactly the same thing. Same routine, re-cast and waited. A few more bites and another three bass landed and returned. The last fish to be landed before all went quiet at 2.30am was a rockling. This was my cue to pack up and face the walk back to the car. I have to say that it is strangely eerie walking through that deserted village at that time in the morning. All manner of strange noises from the unseen scurrying wild life. Mind you not as unnerving as the sound of an unseen cow coughing at close range. Yesterday, I decided to try a bit of spinning down at Tidemills beach . Got there at about 3.30pm as the tide was rising. Fished straight ahead from where the access path comes out. Nice beach weather, no wind, dead flat and clear. First few casts with a Toby resulted in a few takes but nothing connected. Then as I was retrieving, the lure was just coming up to the waters edge when it was savagely taken by a Gar in just a few inches of water. The fish was landed and returned and I carried on casting away. Again a few takes but just could not connect. I swapped the Toby for a Dexter wedge but the same thing was happening, just not being able to hook anything on the take. I swapped the Dexter for a single medium sized Hokkai. The second cast produced a really savage take that almost had the carp rod out of my hand, as it arched over and line started streaming off the reel. As I leant into it, there was an almighty surge and then…… slack. Swearing loudly, I retrieved the Hokkai and recast several times but nothing else came. High water arrived and went with no other fish being landed. Still thinking of ‘the one that got away’ I packed up and set off home. Next trip, I’ll be armed with another selection of lures but will also try fish strip on a float. This area of Seaford bay is somewhat shallower than the rest and tends to be used less by swimmers and beach goers due to it’s more awkward parking. To get there, look out for a turning and car park area off of the main A259 about half way between Seaford and Newhaven with a track leading towards the sea. Turn in here but forget the first car park, instead carry on along the track and you will come to a small parking area on the left. Park here and walk towards the beach. Negotiate the the railway crossing taking obvious care. Continue along the track through the old ruined village and onto the beach. From here you can turn right and head off to the East arm at Newhaven if you feel so inclined but it’s a bit of a hike and if I want to fish that area, I prefer to use the alternate route. Beware – there have been reports of cars being damaged/stolen from during the hours of darkness. Usually safe as anywhere else during daylight. My advice would be don’t park here if you’re expecting a late session into the night. During the summer expect to catch mackerel, garfish on floated fish strip during the day – morning and evening often the best times. 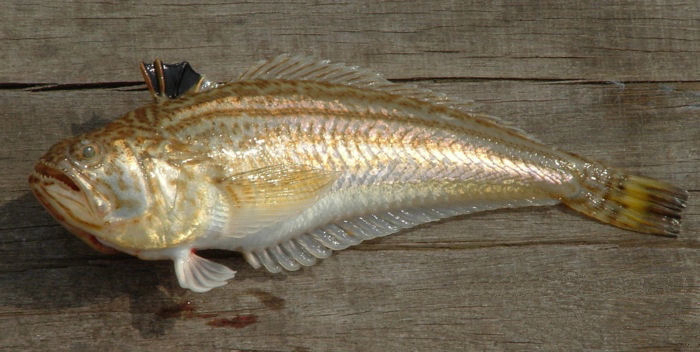 bass, Golden Grey Mullet and flounder can be taken on bottom fished worm baits such as ragworm and lugworm; small harbour ragworm being the bait of choice for the Mullet. At night, a whole Calamari squid or mackerel fillet lobbed a few yards out will take bass, they are often feeding right up to the shore line, so don’t over cast, sometimes even a few yards can be too far. Avoid any unnecessary noise and keep any lights to a minimum and don’t shine them towards the water. sole will be around during the night where your worm bait needs to be pinned to the bottom and not moving around the tide. Small sections of king ragworm or lugworm can be used but again small harbour ragworm will probably do better. Winter time will see whiting, pouting and later on, flounders and dabs being the main species caught. Bottom fished worm baits tipped with slivers of squid will take all of these. My personal preference is to fish the deeper water Eastwards in the bay where I have found the whiting to be of a larger average size and more chance of codling being beached. There is more information on this historic place at the Wikipedia page.